Thousands of lives need saving. The Canadian city's new law, which was passed on Tuesday, is a terrifying ultimatum for animals whose only crime is being born a pit bull - loosely defined as American Staffordshire terriers, Staffordshire bull terriers, American pit bull terriers or any mix of these breeds. Sign this. Just sign it. Time and time again we've seen the power of petitions in action. 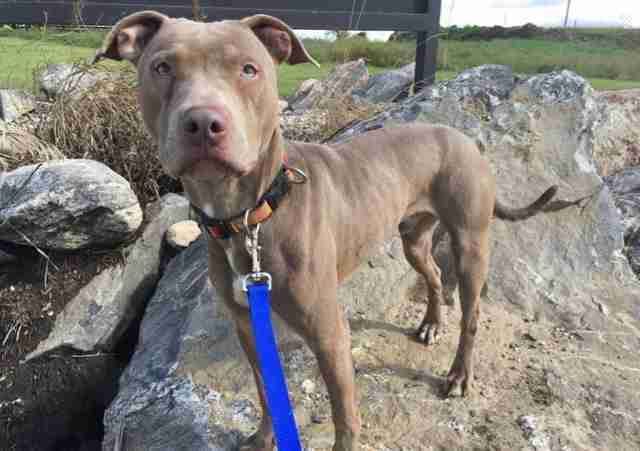 A dog who was seized by animal control in Ireland for looking like a bully breed was only returned to his family after more than 300,000 people signed a petition begging for his release. 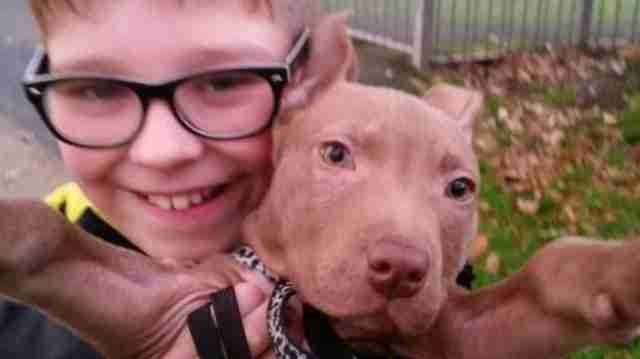 The pressure exerted on the Belfast city council was cited as a major factor in saving Hank the so-called pit bull's life. Letter writing works too. Just ask Herbert Blake, the police chief in Hendersonville, North Carolina. 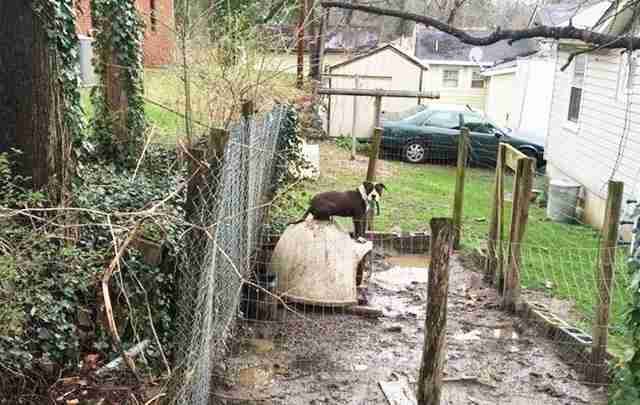 One January day, he woke up to around 450 emails from people across the globe demanding he look into a situation involving a badly neglected dog. Blake went directly from his computer to the dog owner's address. And not long after that, the long-suffering animal was rescued. So far, nearly 150,000 people have signed a petition demanding the Montreal pit bull ban be repealed. Add your name to it right now. Also, here's a sample letter you can send to Montreal lawmakers demanding the law's repeal. Just copy and paste that letter to Montreal government officials. You can find a complete list of their email addresses here. Since the ban was passed, the Montreal SPCA has asked the Quebec Superior Court to review the law in hopes of having it declared illegal. 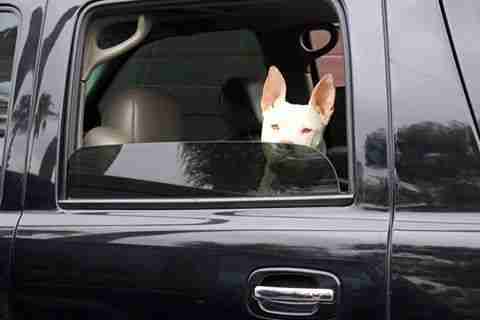 Targeting a specific type of dog, the organization argues, is discriminatory. The organization filed this week for an emergency injunction, essentially asking the court to suspend the ban until the full legal case is heard - which could be months from now. "If our injunction is granted," Alanna Devine, advocacy director at the Montreal SPCA, tells The Dodo, "it would put the brakes on everything." But, she admits, getting that injunction will be "a bit of an uphill battle." The earliest the group could get a judge to hear the case for an injunction is Monday - the same day the ban takes effect. But if the judge sides with the SPCA, the new law will be suspended immediately. In the meantime, the SPCA needs all the support it can get. If you think you can help transport or give homes to dogs outside of Quebec, get in touch with Tammie Benoit of the Montreal SPCA at tbenoit@spcamontreal.com. The four volunteers who make up One Last Chance Animal Rescue Team (OLCART) saw the writing on the wall months ago. Since the specter of a ban reared its head in the city, the group has been organizing an exodus of pit bulls from Montreal to pit-bull-friendly parts of Canada - from Saskatchewan to the Maritimes. Now, just days away from pit bulls being locked down in Montreal, the group is racing to get as many dogs out of the city as it can. So far, they have removed around 30 dogs from city shelters, all of them with high rates of euthanasia. 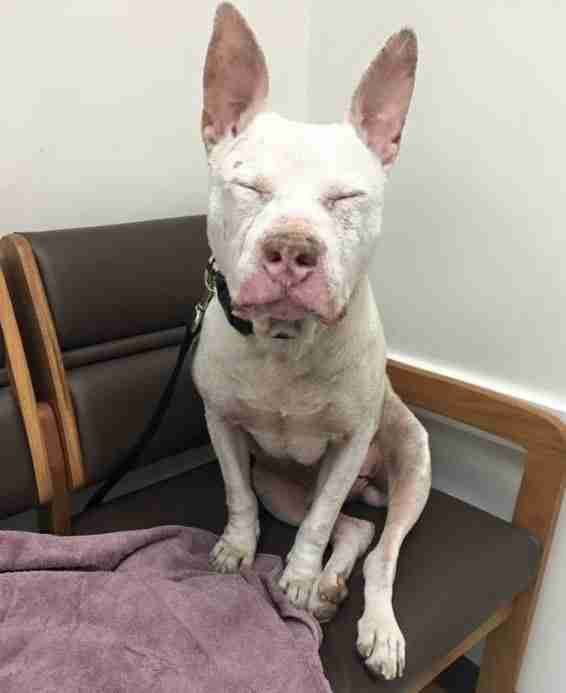 "Our mission right now is to get all of those dogs out, because they will not be allowed to be adopted," Carolynn Williams, of One Last Chance, tells The Dodo. "So, that is our main priority right now." And people have responded in a big way to the group's efforts. Its GoFundMe page, set up to help fund the operation, has exploded in a single day. "We set a limit of $5,000," Williams says. 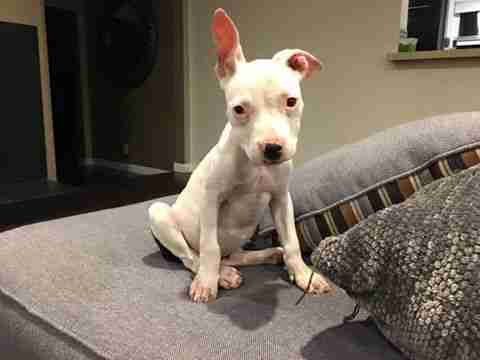 "We're up to almost $10,000 which is going to help so many dogs." "The support has been absolutely unbelievable. We're actually blown away," she says. "We're getting messages from all over the world." But the clock is ticking. 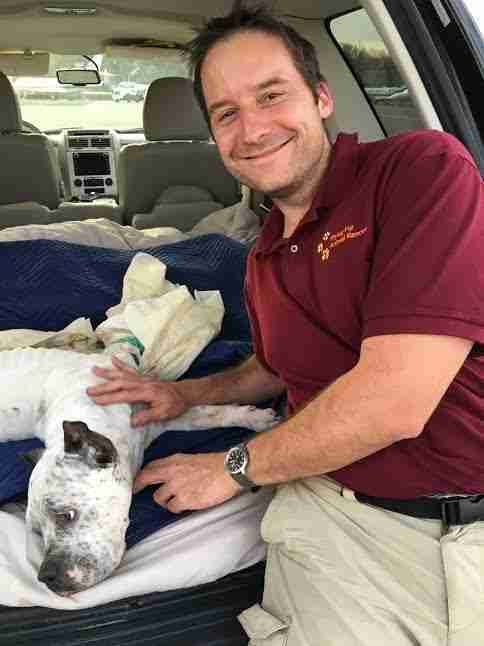 Support the efforts of One Last Chance Animal Rescue here. 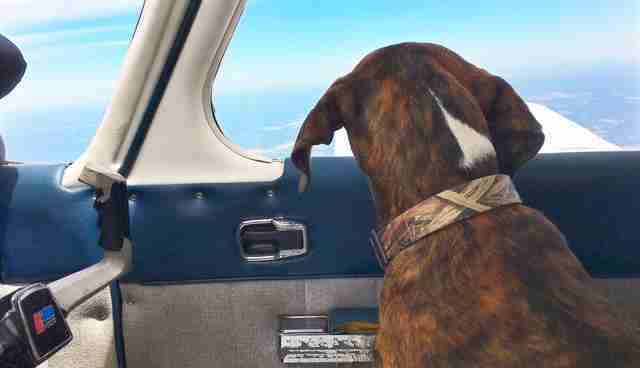 Paul Steklenski of Flying Fur Animal Rescue flies hundreds of dogs every year from shelters to rescue groups. He's willing to make as many flights as it takes to get Montreal's refugees to safety. "These dogs do not deserve to be failed by humans and by breed labeling," Steklenski tells The Dodo. "If we can help, we will." But he can't do it alone. Steklenski needs rescue groups on both sides of the border to help coordinate the airlift. "There are many, many rescues within 100 miles of me," he says. "If they can take dogs, I can work out the transportation part." If you belong to a rescue group that can help, email Steklenski at info@flyingfur.org. And, if you just want to support the airlift, follow Flying Fur's Facebook page for details on how to help or make a direct donation here. Breed bans are not just Montreal's problem. 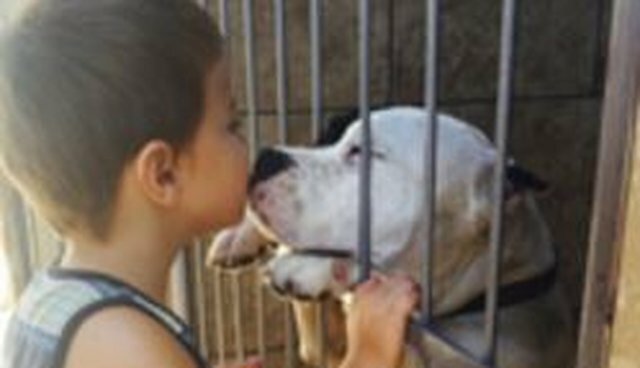 In fact, breed-specific legislation (BSL) tears families apart in jurisdictions across North America and much of Europe. In fact, more than 700 U.S. cities have enacted breed-specific laws. And in the Canadian province of Ontario, a ban has been in place for the last 11 years - and widely considered a complete failure. 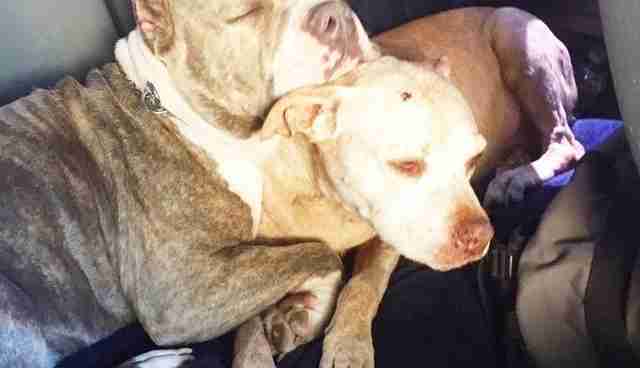 But as a result of these bans, pit bulls find themselves disproportionately represented at animal shelters. Consider giving one of these dogs the life she deserves by visiting Adopt-a-Pet.com. In the meantime, everyone needs to stand up to Montreal's draconian measure. Too many innocent lives hang in the balance.